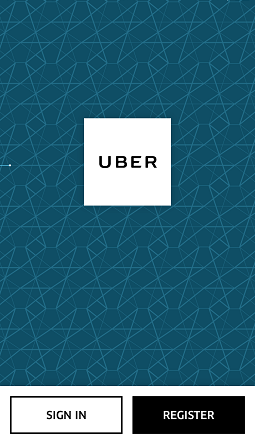 Loved by many, Uber is a service that provides an alternative for transportation to traditional taxis. Drivers use their own cars to make money taking paying customers where they need to go. Because this alternative is often likened to taxi service, the question often pops up…should you tip your Uber driver? Uber’s official policy does not endorse tips. Actually, there isn’t even an option for a gratuity in Uber’s app. If you plan to tip your driver, you’ll need cash. However, does that mean you really shouldn’t tip? Uber’s app doesn’t have a tip option. Does that mean you’re off the hook? To answer this question, you really have to look at the service industry as a whole. Would you tip a server in a restaurant? Yes. Would you tip a hair stylist? Some would say yes, some would say no. What is the difference here? First, you have to inspect the rate of pay. Servers make less than minimum wage. If you don’t tip, they don’t make money. Also, many feel that a tip is a reflection of services rendered. Good tip equals good service. Hair stylists often have a rental fee for their space and are responsible for purchasing the hair products they use on clients. So while they don’t make menial wages, hairstylists often have costs that other professions aren’t subject to. So, what is the pay for Uber drivers? According to Glassdoor, Uber drivers make approximately $15 an hour. This is based on a survey of 68 Uber drivers. However, depending on where you live and what time of day you are requesting an Uber ride, the price may be more. Uber charges a Surge fee to entice drivers to accept rides during peak times. If you are a frequent Uber passenger, you are probably thinking about the price of the fare. Keep in mind that Uber keeps 20% of the total fare. Check here for more information on the breakdown of Uber fare pricing. Uber drivers are responsible for vehicle-related costs, such as insurance, tolls, fuel costs, and maintenance. Uber drivers often incur incidental costs that aren’t common in personal vehicles. Many passengers spill drinks, food, track in dirt and mud, and some even leave less pleasant evidence of their visit behind (Yuck!). Another thing to keep in mind is that Uber drivers get paid when you step in their vehicle. They don’t get paid for time it takes to drive to your pick-up location or the time it takes waiting on you to hop in. So here is the final, perhaps somewhat ambiguous, answer: it depends. Because Uber does not endorse tipping, you don’t need to feel obligated to leave a gratuity or guilty if you don’t. But, if you feel the driver has provided great service, you might consider leaving a tip. This much is clear…your tips are greatly appreciated by Uber drivers.